Sarah Nader - snader@shawmedia.com Crystal Lake Central's Kendall Lownds returns the ball during Friday's Class 4A volleyball supersectional against New Trier Nov. 3, 2017 in Lake Zurich. 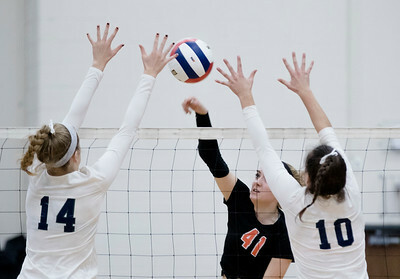 Crystal Lake Central won, 25-22, 25-21. Sarah Nader - snader@shawmedia.com Crystal Lake Central's Madelyn Blake (center) and Kenna Kessler celebrates with the volleyball team after they won Friday's Class 4A volleyball supersectional against New Trier Nov. 3, 2017 in Lake Zurich. 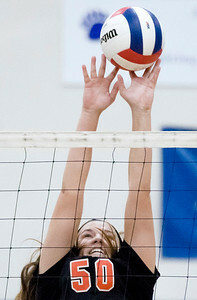 Crystal Lake Central won, 25-22, 25-21. Sarah Nader - snader@shawmedia.com Crystal Lake Central's Paige Hulata hits the ball over the net during Friday's Class 4A volleyball supersectional against New Trier Nov. 3, 2017 in Lake Zurich. Crystal Lake Central is headed to state after winning 25-22, 25-21. Sarah Nader - snader@shawmedia.com Crystal Lake Central's Camryn Hausler block a ball during Friday's Class 4A volleyball supersectional against New Trier Nov. 3, 2017 in Lake Zurich. Crystal Lake Central is headed to state after winning 25-22, 25-21. 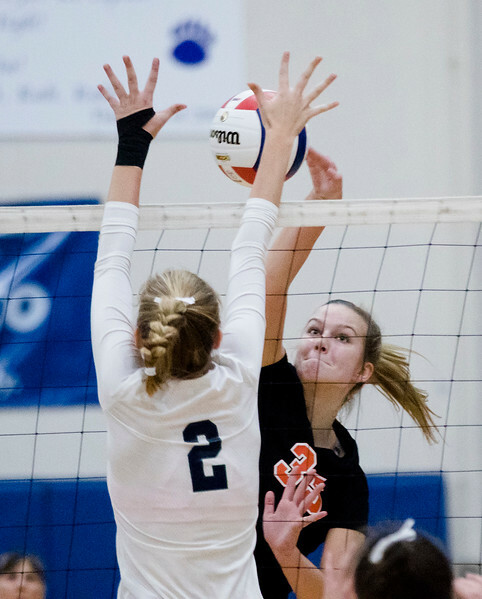 Sarah Nader - snader@shawmedia.com Crystal Lake Central's Madelyn Blake hits the ball over during Friday's Class 4A volleyball supersectional against New Trier Nov. 3, 2017 in Lake Zurich. Crystal Lake Central is headed to state after winning 25-22, 25-21. 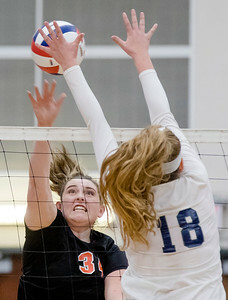 Sarah Nader - snader@shawmedia.com Crystal Lake Central's Emily Kelly hist the ball over during Friday's Class 4A volleyball supersectional against New Trier Nov. 3, 2017 in Lake Zurich. Crystal Lake Central is headed to state after winning 25-22, 25-21. Sarah Nader - snader@shawmedia.com Crystal Lake Central's Kendall Lownds (left) celebrates with the volleyball team after they won Friday's Class 4A volleyball supersectional against New Trier Nov. 3, 2017 in Lake Zurich. Crystal Lake Central won, 25-22, 25-21. 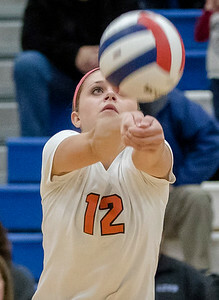 Crystal Lake Central's Madelyn Blake hits the ball over during Friday's Class 4A volleyball supersectional against New Trier Nov. 3, 2017 in Lake Zurich. Crystal Lake Central is headed to state after winning 25-22, 25-21.